I have a few thoughts on the subject, because like any mama will tell you, we get to be very good at time management when children enter our lives. Making the most of every moment becomes of the utmost importance, wouldn't you say? Here's the quickie background: I'm very excited to be working on a new campaign with Clorox, who in turn is collaborating with children's book author Karen Kaufman Orloff, of "If Mom Had 3 Arms," to create an e-book called If Mom Had 3 Minutes. One very cool part? Suggestions and time-saving tips for the book are coming directly from mamas everywhere -- all you have to do to contribute is visit Clorox's Facebook page (or in the comment section of this post). Even better than that? By commenting on this post with a tip (and a way to be contacted), 20 of you will be randomly selected by Clorox to receive a coupon for one free Clorox® Disinfecting Wipes product. Spring cleaning, anyone? 1.) I can't wait until we can all eat together as a family, but right now we still feed Toddler S first and Husband and I eat after she goes to bed. While she's having dinner, I save time by doing a few dishes and starting dinner for us. 2.) Toddler S is entering a "helping" phase, which is totally sweet despite the fact that her idea of helping is, well, not usually that helpful. But, she gets props for trying! She really enjoys "helping" me do laundry, which I actually don't mind because it means I get to spend time with her while I'm down in the basement of our building sorting out brights from whites. Thanks in advance for your contributions, and I look forward to reading your tips! Disclosure: I received information about the If Mom Had Three Minutes program and coupons for Clorox® Disinfecting Wipes from Clorox for this giveaway. 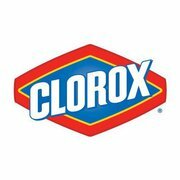 I am being compensated by The Clorox Company to talk about my favorite time-saving, multi-tasking tip(s) as part of the If Mom Had Three Minutes Program. I'm all about multi-tasking! When my daughter's in the bathtub, I take that opportunity to clean the rest of the bathroom, since I have to be in there anyway and it's a chore I'm likely to procastinate doing otherwise. I think by having more than one child it pretty much means you are perpetually multi-tasking. One of the best things about my kitchen is that while my sons eat at the breakfast bar I am able to empty the dishwasher and clean the kitchen. Not to mention continuing to feed my two ravenous kids! I now clean the shower while I'm in it. When else do I get to take a nice long hot shower?! I just make sure I keep the scrub brush and the cleaning solution near by. I mop the floors when they are in their high chairs having dinner.. its the opportunity I get without little feet running around. I like all these multi-tasking ideas! Here's one for when the little ones are teens and you are their chauffeur: never leave home without a good book or magazine, because you will spend a lot of time in the car waiting for them!! It was so nice to meet you in myrtle beach with Darley! My time saving tip: I fold my toddlers clothes in the nursery with the door shut and he reads books and plays - and cant escape!